Real Patients. Real Investigators. Real Results. When Elligo Health Research partnered with SCORR Marketing, the company was in the first stages of building a first-of-its-kind company and was looking to introduce a fresh concept to the clinical research industry. By delivering real data to trial sponsors, infrastructure to physicians and expanded care options to patients, Elligo gets more physicians and patients involved in clinical trials. As part of a comprehensive branding project, SCORR recommended videos be made to distill Elligo’s unique proposition for different audiences. 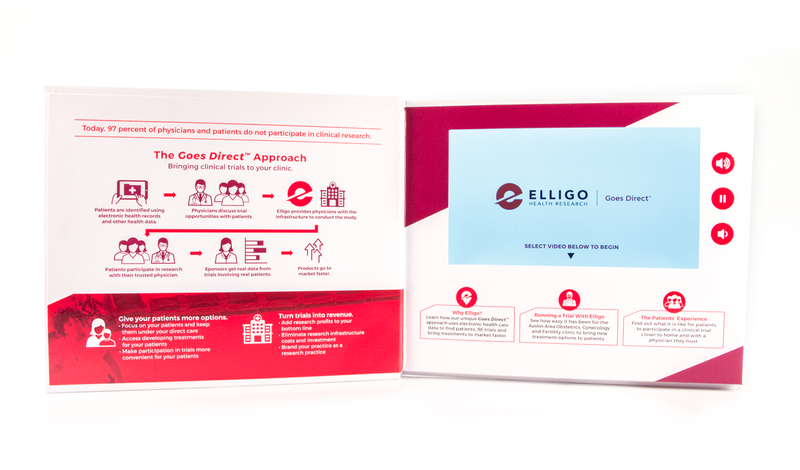 SCORR developed four videos to put viewers right where Elligo makes the most critical connection — in the clinic. From the beginning, it was clear that Elligo wanted to feature real employees, investigators and patients to convey the personal approach the company provides. SCORR wrote a voiceover script for the Why Elligo? video to introduce Elligo and feature statistics that establish the need for Elligo’s service. SCORR also developed talking points and interview questions for Elligo employees, whose passion showed through on screen. Interviews were also conducted with actual patients, clinical staff and principal investigators. These interviews helped establish Elligo’s value from diverse perspectives. 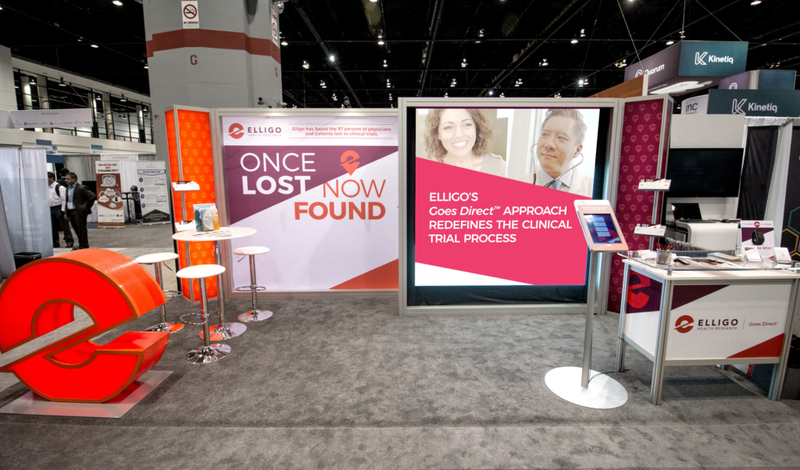 To meet Elligo’s objective to connect with several audiences (including sponsors, physicians and patients), SCORR developed a plan to create four videos with just one shoot. 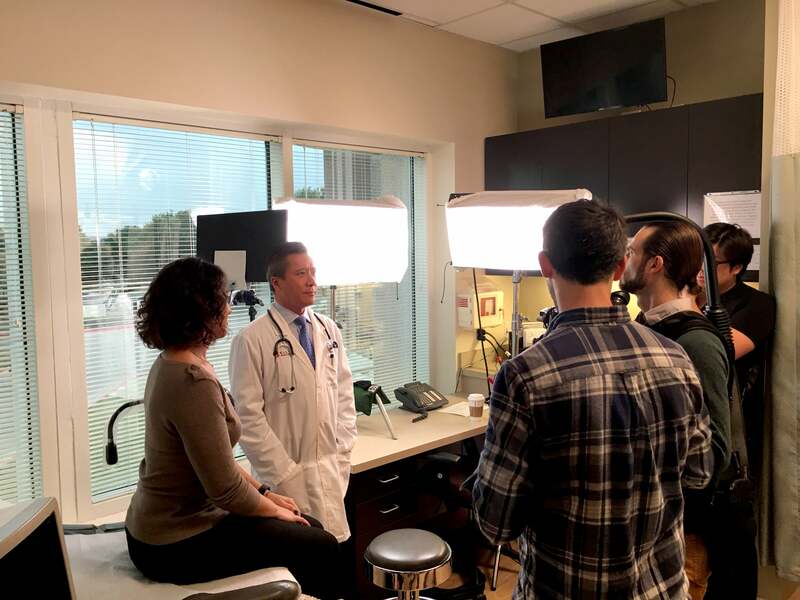 SCORR coordinated the video shoot, which entailed getting a full production crew into a clinic during business hours. A schedule was created to capture Elligo employees and different combinations of physicians interacting with patients in the clinic. After a day and a half of video capture, SCORR received positive feedback from the facility’s staff, who said the project went smoothly and didn’t distract from their business. 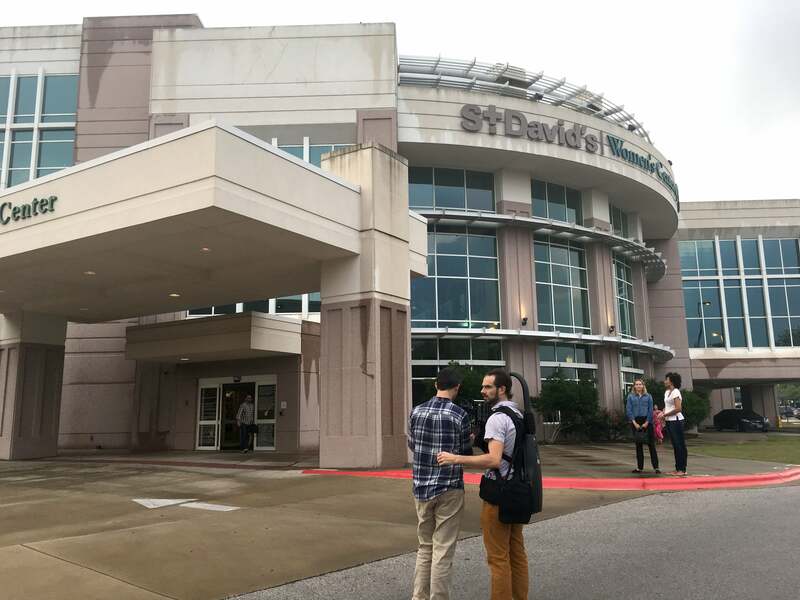 In addition to the footage for the planned videos, SCORR captured additional footage that was used in a trade show video and that is available for future projects. SCORR leveraged the videos to create a video-capable brochure mailer that was sent to potential investigators and Elligo partners. The mailer features the three videos with sound, framed in a brochure with supporting information about Elligo. 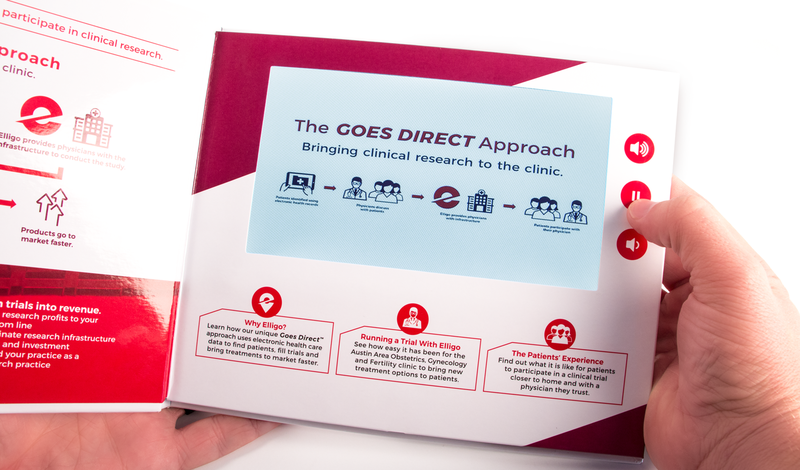 As part of an earlier comprehensive branding project, SCORR developed a graphic for Elligo’s Goes Direct™ approach. This process graphic was animated in several of the videos and applied to the mailer. The Elligo Brand Video drew more than 16,000 views in its first six months and is now featured front and center on the Elligo home page. Likewise, the Running a Trial With Elligo and The Patients’ Experience videos are featured on the Elligo website. The Trade Show Wall Video is now used at events Elligo attends. Share: Real Patients. Real Investigators. Real Results.